Item # 310128 Stash Points: 795 (?) This is the number of points you get in The Zumiez Stash for purchasing this item. Stash points are redeemable for exclusive rewards only available to Zumiez Stash members. To redeem your points check out the rewards catalog on thestash.zumiez.com. Grab a ultra-cute look with the Velvet Leopard Scrunchie 3 Pack from Stone + Locket. 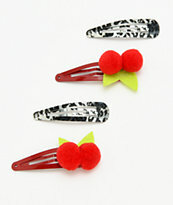 This three pack of hair scrunchies channels the 90's for a fun and fresh look. 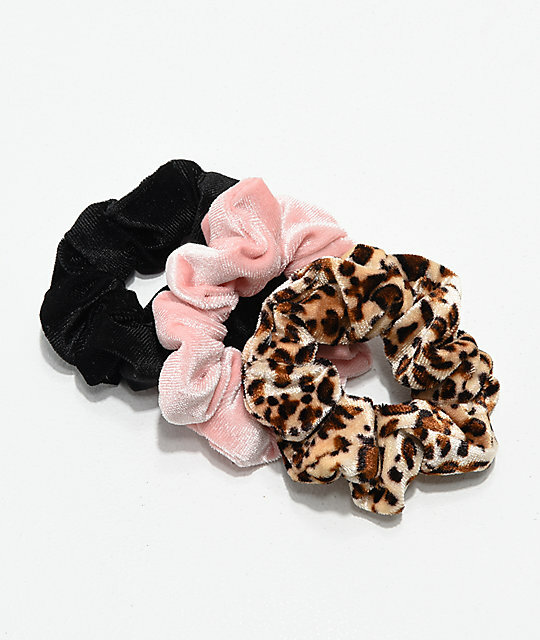 Coming in leopard print, light pink, and black velvet colorways, these scrunchies are just the accessory you need to complete your retro-inspired looks. Velvet Leopard Scrunchie 3 Pack from Stone + Locket. Includes 3 elastic hair scrunchies. Colors: Leopard print, light pink & black.